Power Tools to the People! 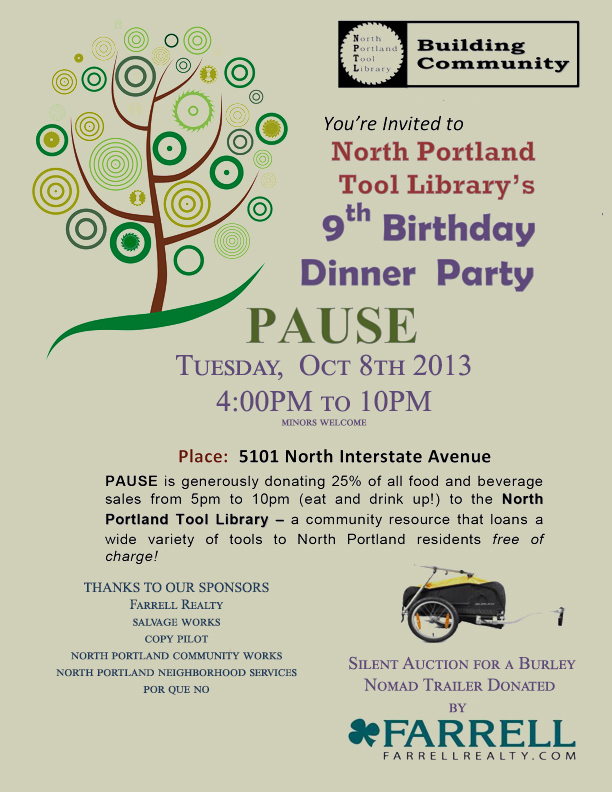 The North Portland Tool Library is a project of North Portland Community Works a qualified organization for tax exempt status under IRS Section 501(c)(3). Tax ID: 93-1156762 Donations are tax deductible as the law allows.